Success! Ko from Burma raised $414 to fund a CT scan. Ko's treatment was fully funded on June 20, 2018. Ko underwent a CT scan. The CT scan helped confirm Ko’s diagnosis so that he may access proper treatment. Ko is a 43-year-old laborer from Burma. He lives alone, working on his employer’s corn farm. In his free time, he enjoys playing football and cane ball. Ko has experienced abdominal pain for three years. He describes the pain as burning and sharp. He also experiences discomfort after drinking and eating. Often the pain is too great for Ko to sleep or to work. Doctors want Ko to undergo a CT scan, a procedure in which x-ray images taken from several angles are combined to produce cross-sectional images of the body. This scan will hopefully help doctors diagnose his condition and formulate an appropriate treatment plan. Our medical partner, Burma Children Medical Fund, is requesting $414 to cover the cost of Ko’s CT scan and care, scheduled for April 10. “When I feel better I will try to change occupation and make Burmese snacks for a living, as I think this will be easier than working in the field,” says Ko. Ko's case was submitted by Bridgitte Agocs at Burma Children Medical Fund in Burma. 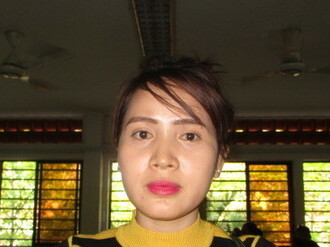 Ko was submitted by Bridgitte Agocs at Burma Children Medical Fund, our medical partner in Burma. Ko received treatment at Mae Sot General Hospital. Medical partners often provide care to patients accepted by Watsi before those patients are fully funded, operating under the guarantee that the cost of care will be paid for by donors. Ko's profile was published to start raising funds. Ko's treatment was successful. Read the update. Ko's treatment was fully funded. SaRet is a 64-year-old woman from Cambodia. She has six sons, twenty grandchildren, and enjoys listening to the monks pray in her free time. 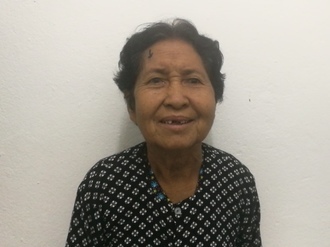 Three years ago, SaRet developed a cataract in each eye, causing her blurry vision, irritation, and itchiness. She has difficulty seeing things clearly, recognizing faces, and going anywhere outside. When SaRet learned about our medical partner, Children's Surgical Centre, she traveled for one and a half hours seeking treatment. On March 18, doctors will perform a small incision cataract surgery and an intraocular lens implant in each eye. After recovery, she will be able to see clearly. Now, she needs help to fund this $398 procedure. She says, "I hope that after my surgery, I will be able to take care of my grandchildren and help around the house with cooking."